Close Quarters: The Last Bottle? 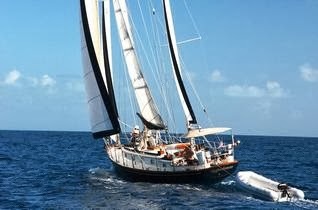 As mentioned elsewhere, Paula and I went cruising in 1998 on our wooden sailboat Nora for two years before we had kids. By the time we got to the Dominican Republic, I was about to die from undiagnosed type 1 diabetes. (There's no better way to say that really. It is not an exaggeration. More about it in a later post). But there was another insidious problem in the making: Malta India. Paula tasted Malta India for the first time in the DR. She fell for it, and she fell for it hard. Malta India is a malted barley beverage that is non-alcoholic and has as far as I know no other substances considered addictive. Nevertheless, before I knew it, we had cases of the stuff on board. And while our boat was big enough for two people plus equipment and supplies, it was not really big enough for all these cases of Malta India. But her love for the stuff surpassed reason. So we stowed it away as best we could. started pouring it out (not in our beautiful oceans - I swear). I think we thought we had rid the boat of it by the time got to the east coast of Puerto Rico. We continued cruising - Virgin Islands, a dozen or so Caribbean islands, Bermuda, Nova Scotia, Maine, Massachusetts. We continued finding bottles. Where is that oil change kit? 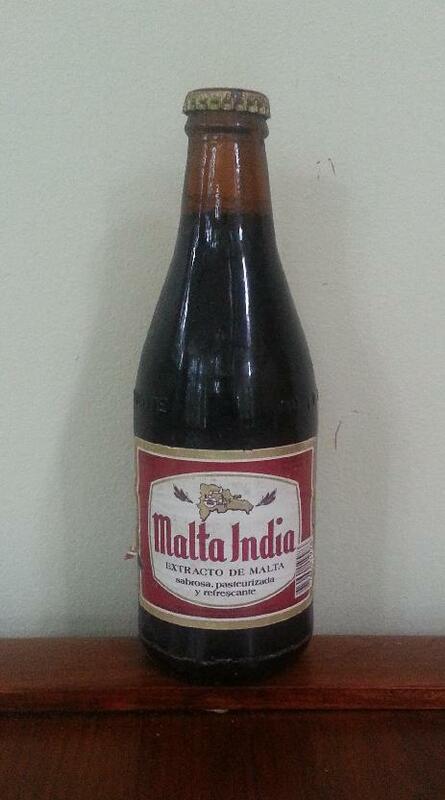 Oh, here's a bottle of Malta India. Have you seen the quarantine flag? No, but here's a bottle of Malta India. The bilge pump is still running so I'm going to - oh look - a bottle of Malta India. And so at this point, I cannot resist doing a little taste test on some unbiased observers - our kids. I also briefly considered trying it again myself. The results are below.